Otagiri Manufacturing Company was an importer of Japanese stoneware and ceramics between 1958 and 1994. Although Otagiri is the name of a company, the term is often used to describe a style of stoneware that was sold in West Coast high-end department stores and souvenir shops. Authentic Otagiri can be identified by a gold and yellow sticker and the stamp "Otagiri Japan." The first corporate records belong to Otagiri Mercantile Company, Inc., a California Corporation with offices in San Francisco. 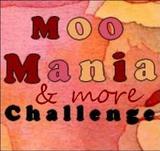 According to information available, OMC filed with the trademark in December 1977. 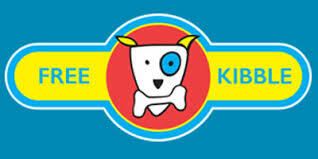 The trademark was "Otagiri." The trademark was registered February, 1980. A trademark for "Hand Crafted Otagiri Original" label was registered in February 1979. Trademark information indicates this was first used in 1970. On August 26, 1980 OMC registered its gold OMC label. The patent information indicates the trademark was first used in 1961. It's really obvious why these are row houses similar to those found in San Francisco. Although I only have a container and bank, there was also a row house teapot, creamer, sugar bowl, mugs, four piece flour, sugar, coffee, and tea containers, and salt and pepper shakers. I'm sure there were other pieces, but I only looked online a few minutes. Originally, I had planned to recycle teabags, but I had already created these, so decided to save the teabags for next week, since I'm still playing catch up. 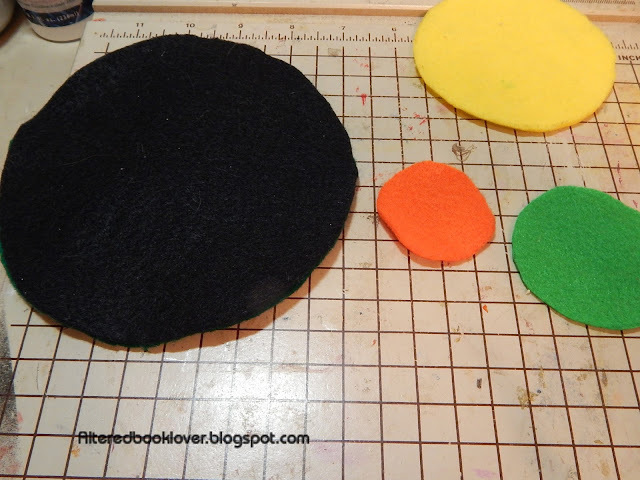 Now it's time to recycle some felt. 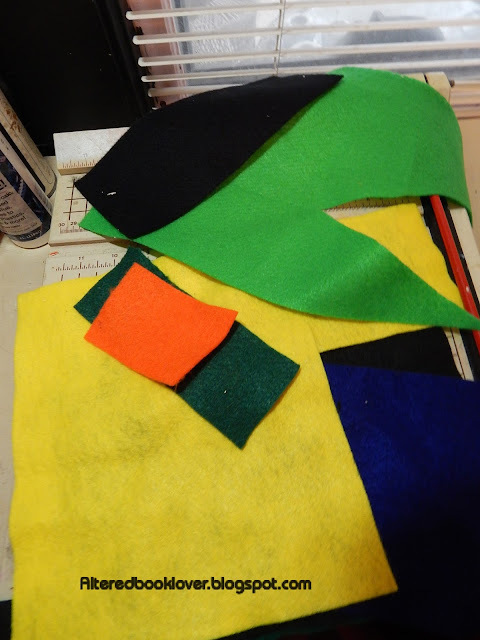 I have several pieces of felt that was left over from previous projects. Some of the pieces are quite small. Using various objects to draw circles around, I cut five circles. I cut two of the largest circle because the black circle is the one that will sit on a table. I stacked the circles on top of each other and tried to match the center lines as equally as possible. Did you think I would miss an opportunity to create something with my wonky sewing? I began in the center and worked my way around the smallest circle. 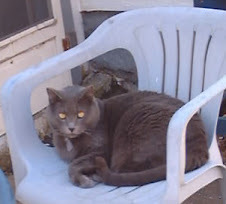 Then I worked my way outward. I used different variegated thread on the two sides. It was time to see if this prototype design would work from a functional standpoint. and a mug, too. 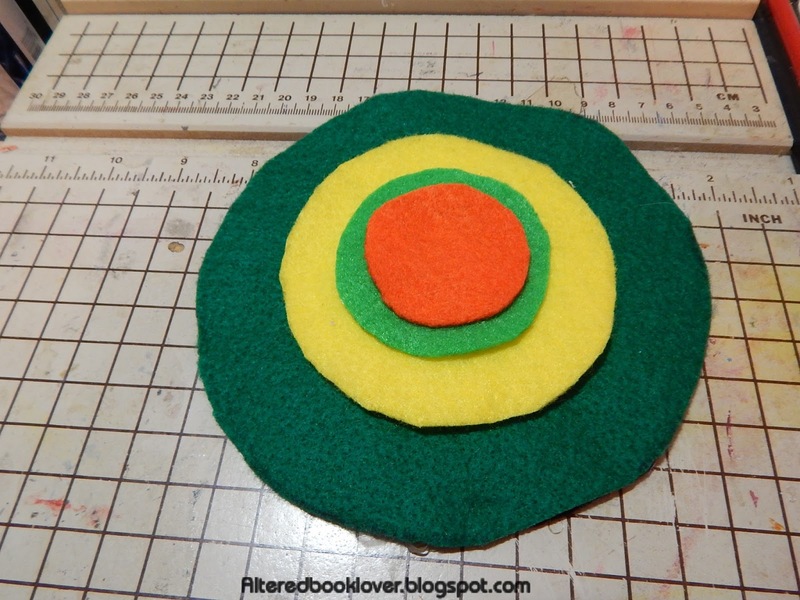 This is day 18 of 22 leading up to bEARTHday and I recycled bits and pieces of felt left over from other projects. Now it's your turn. The rules are extremely simple. Your drink related post may be anything from a photo of a glass, cup, or mug, to an actual drink. 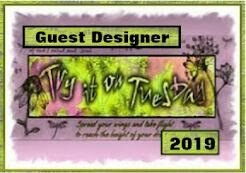 You may choose to share a sketch or a digital, hybrid, or traditional page in your scrapbook, art journal, or altered book. 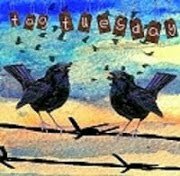 Maybe you'd prefer to share a tag, or wow us with your photography. 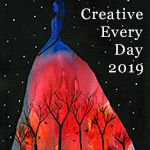 You might choose a postcard or decorated card. 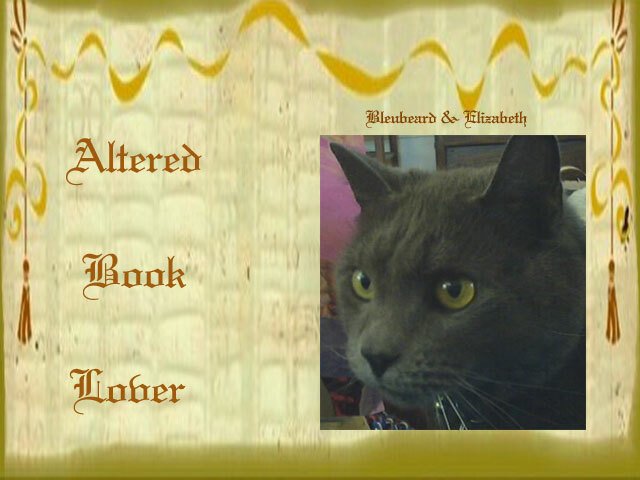 Or perhaps you prefer to review a place you visited, a movie, or book. It makes no difference as long as it's drink related. And don't forget that the more unique and outside the box it is, the better we like it. Please tie it back here, and please link only to your T post, not your entire blog. When you link, Bleubeard, the T gang, and I will be by to visit. 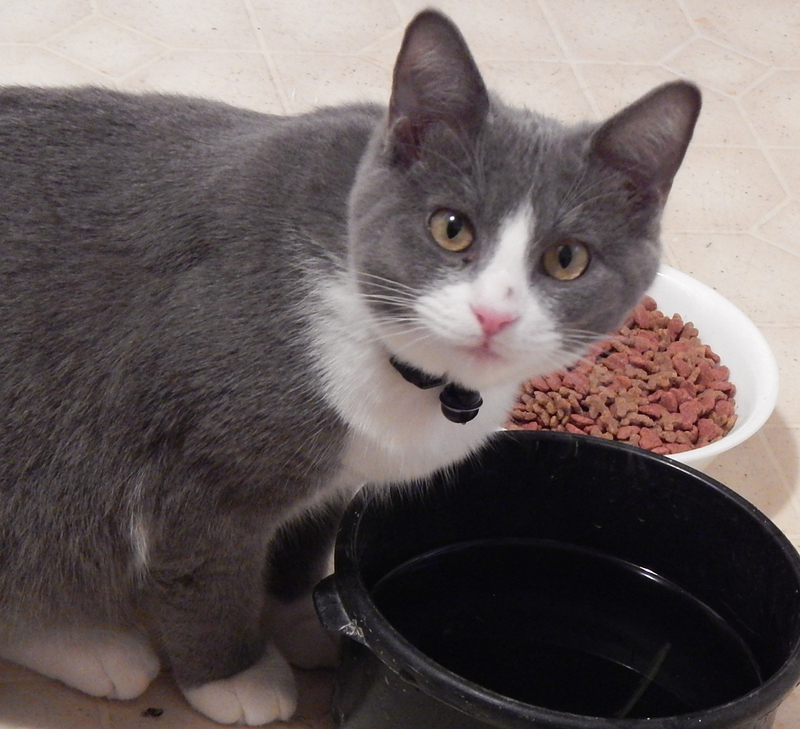 Bleubeard would also like to remind you that your photos may be taken any time, even months ago, if you choose. what a wonderful way to create a coaster! and i love variegated thread. 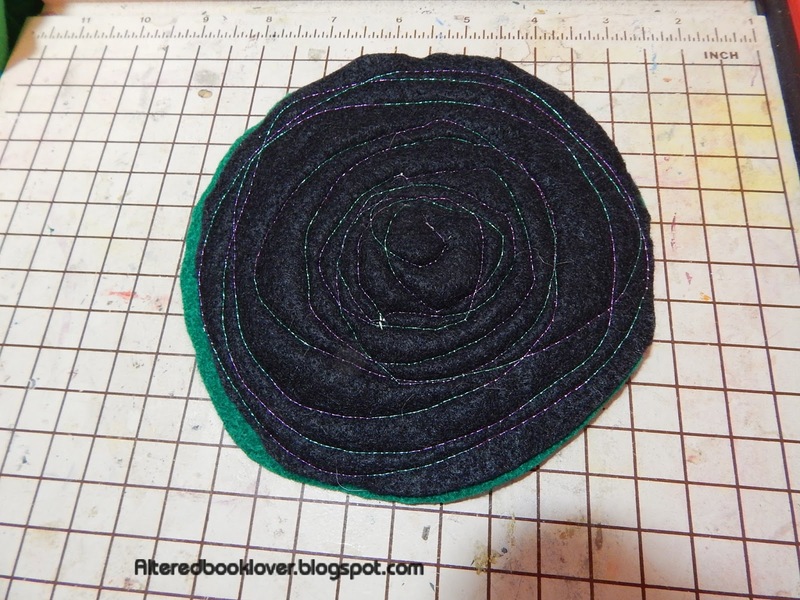 Your felt cup mats look great, a wonderful idea and I loved how you described your sewing. I cannot even thrad a needle these days, never mind getting the machine out. It looks a super mug as well. Those are really cute -- and just PERFECT for T Day! I like the way you recycled that felt, and now you have the cutest coaster! The colors go well together and the stitching adds to its charm. Really nice! Thanks for the info on the charming Otagiri ceramic pieces, Elizabeth. I need to ask my brother if that's what my sister-in-law collected. 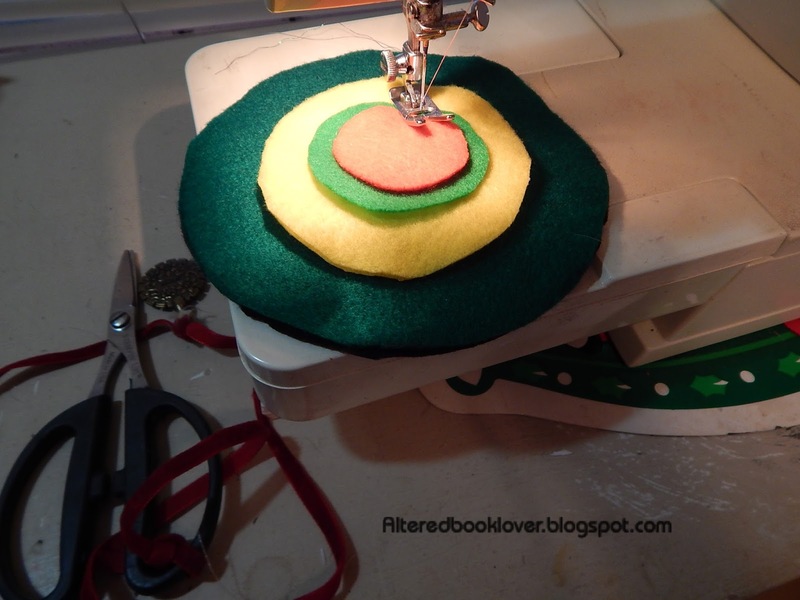 Great recycling with the felt scraps. I love your random-looking stitched swirls - which I know are anything but random. It's an art to catch all those edges and create a lovely design at the same time. 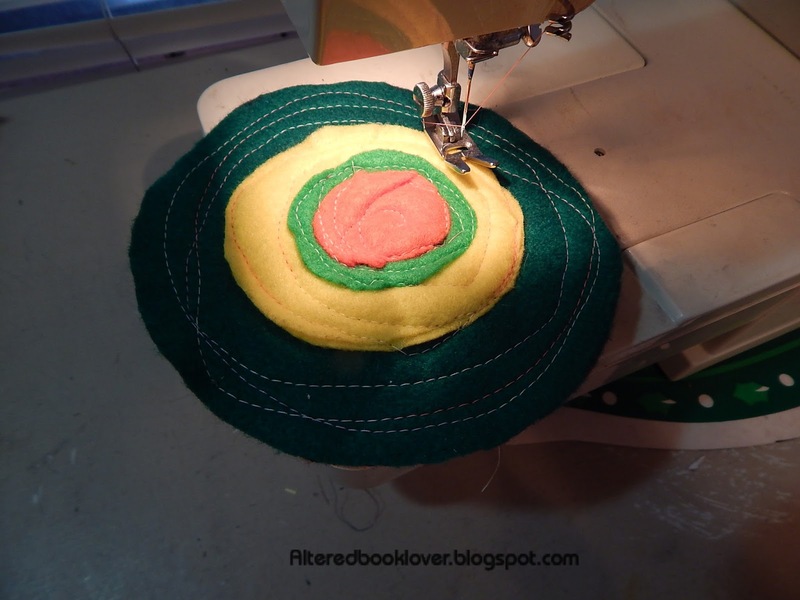 I am such a fan of wonky sewing , sew(ha!) of course I love your coasters!! Interesting info about the ceramics too. Thanks for sharing all your wonderful recycling projects, and happy T day! Your felt coasters are really wonderful and just right for the job E! oh and thanks for sharing the rest of the story ... very interesting! What a wonderful way to use up felt scraps. 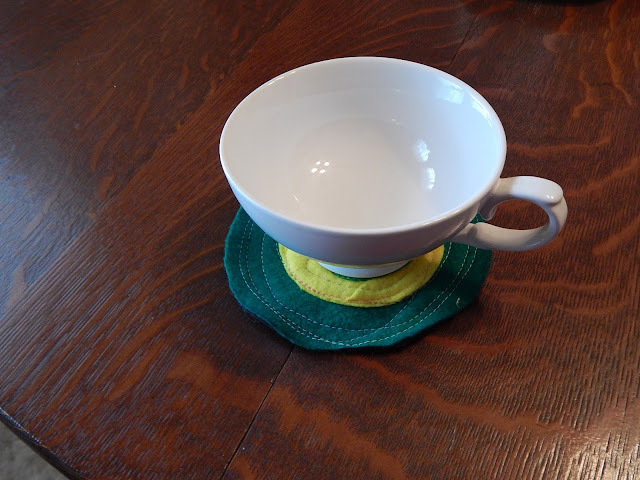 Love the coaster idea. Like minds think alike. Sort of. You'll see (-; Happy T Day! 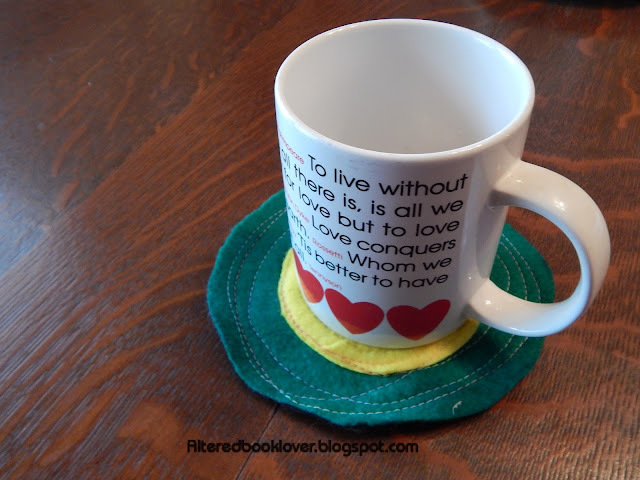 I love your felt coaster and the pretty mug! AMAZING! And I love unique ceramics and dishware. 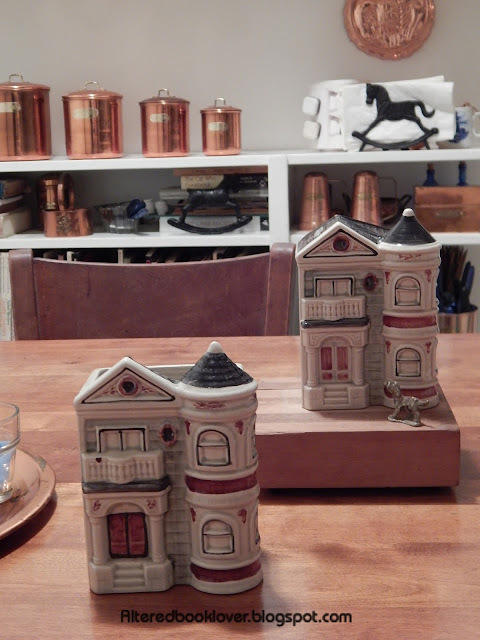 Wouldn't it be exciting to find some more Otagiri pieces at an estate sale? You have a great one, my friend. 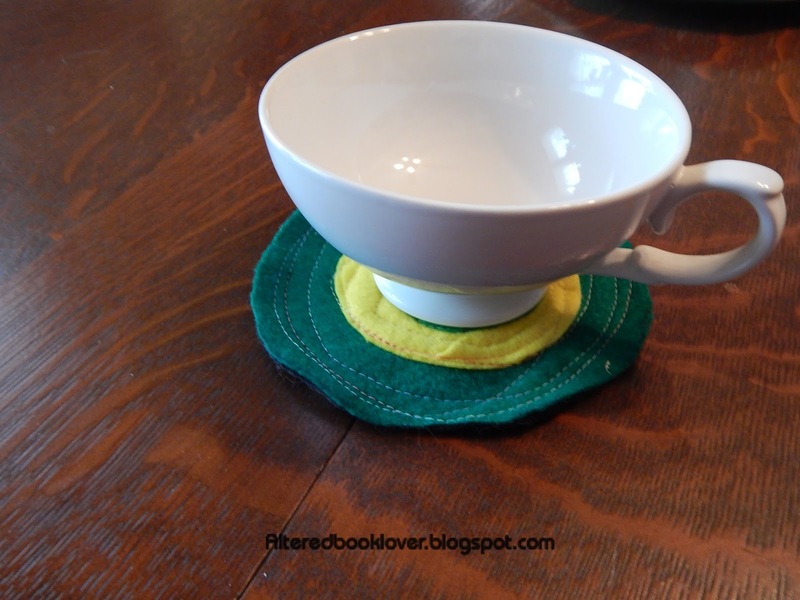 Love the coaster, awesome colors, and the sewing style gives it a very natural feel. Love your cup also. 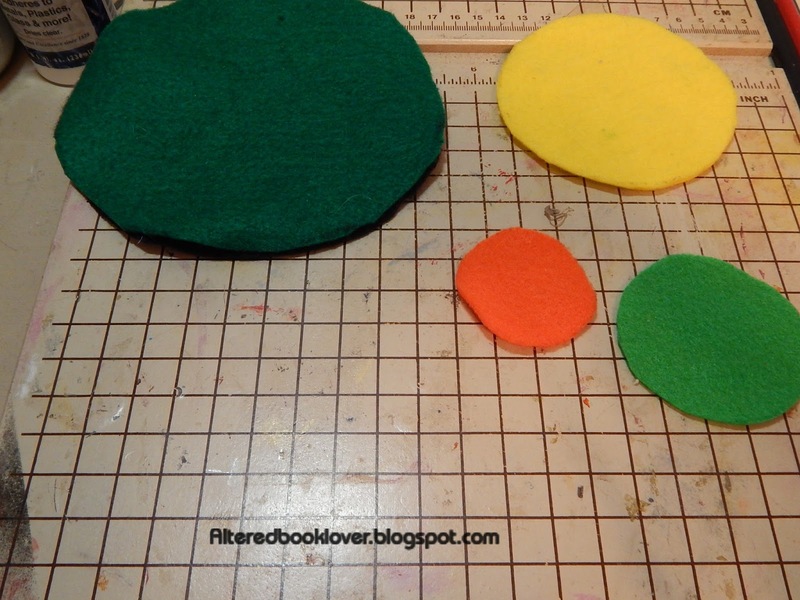 These felt coasters are lovely and colourful. What a great way to use scraps of felt. Wonky sewing is the best, it's artistic! Wow, I love the coasters Elizabeth! Perfect sewing would make them boring. Your coasters are just the thing. It's hard to know what will work well for that, but it looks like felt is perfect. I love the way you stacked the circles and used the stitched pattern.